Wednesday was a perfect day for kayaking on the Johns River. I got up early with plans of heading down towards Johns Bay and South Bristol. The wind was light and coming from land, which keeps the waves down. 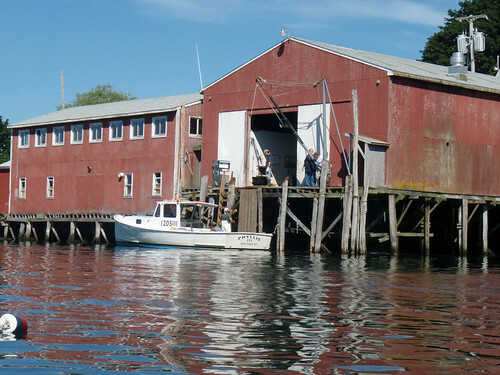 It was just me, the lobstermen, and the birds on the water. 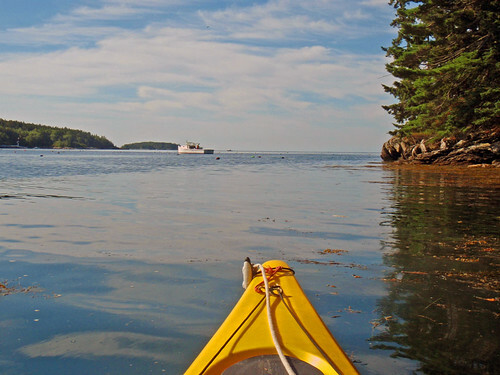 I paddled across the Johns past Peabow Island and headed south at Sproul Point. 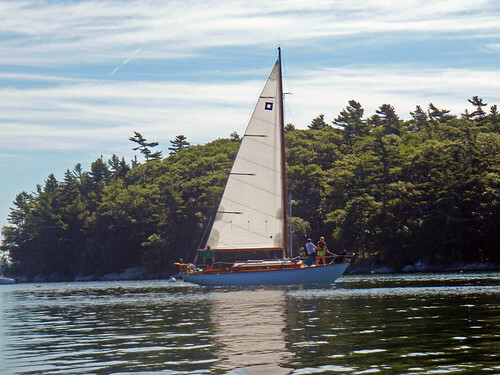 I passed High Island, paddled along the shore and turned into McFarlands Cove just as two sailboats were getting underway. 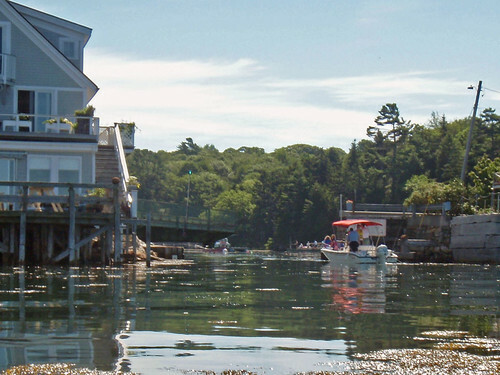 I continued behind Witch Island through a channel named “The Gut” to the village of South Bristol, Maine. I rounded the corner and went past the South Bristol [Lobster] Co-op. 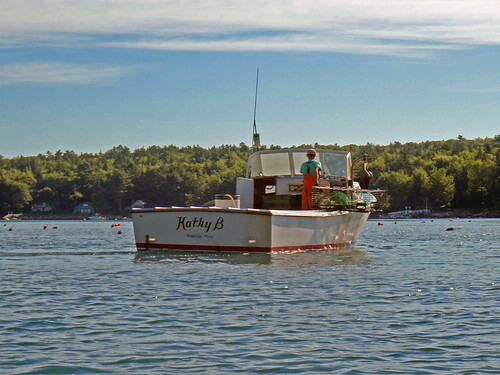 Next I watched some lobstermen loading their boat using a winch (it was low tide). 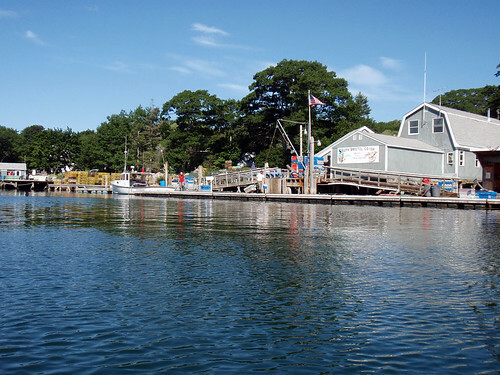 Finally Osier’s wholesale seafood market and general store next to the bridge over the channel to Damariscotta River. I was able to get under the bridge with my kayak, just just barely. I had finally made it over to the Damariscotta River. I decided to turn around and head back and got to see the South Bristol bridge open to let a boat through. On the way back I noticed something strange in the water behind Witch Island. 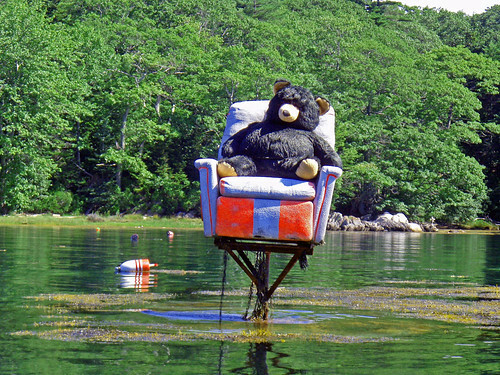 A stuffed bear was tied to a reclining chair and placed on a platform out in the water. I bet there is a good story why the bear is out here. I made it back about 11:30 and was ready for a rest after spending about three and a half hours in the kayak. Overall it was a great trip.